"Pete Dizinoff has spent years working toward a life that would be, by all measures, deemed successful. A skilled internist, he’s built a thriving practice in suburban New Jersey. He has a devoted wife, a network of close friends, and an impressive house, and most important, he has a son, Alec, on whom he’s pinned all his hopes. Pete has afforded Alec every opportunity, bailed him out of close calls with the law, and even ensured his acceptance into a good college. But Pete never counted on the wild card: Laura, his best friend's daughter—ten years older than Alec, irresistibly beautiful, with a past so shocking that it’s never spoken of. When Laura sets her sights on Alec, Pete sees his plans for his son not just unraveling but being destroyed completely. Believing he has only the best of intentions, he sets out to derail this romance and rescue his son. He could never have foreseen how his whole world would shatter in the process. 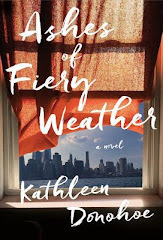 Lauren Grodstein delivers a riveting story in the tradition of The Ice Storm, American Beauty, and Little Children, charting a father's fall from grace as he struggles to save his family, his reputation, and himself." Want to participate? Grab the logo, post your own WoW entry on your blog, and leave a link in the comments section! That sounds like an intense, gripping book! Oh, that sounds intriguing! Shocking pasts aways make great stories! Oh that sounds REALLY good! I'm adding it to my WL now. Good pick! I will have to watch for this one! This one sounds really good! Here is what I am waiting for. ooh, this is one of those stories that run shivers up your spine - such drama. i'll have to add it to my list. I am a bit afraid of what that man will do to save his family. This sounds great--I'll have to pick it up. Your book sounds great, will be adding to my book list. Always good to know what's coming out in the adult fiction world. Thanks! That book sounds good. It is added to my to-read list. Wow, this one looks great! Adding it to my wishlist!! The description of A friend of the family definitely got me interested! Great find! I'm waiting for a book called Meridian. on my blog, The Hiding Spot! Here is mine for the week. I will participate next week. Thanks. This book sounds like it is worth waiting for. Thanks for hosting this awesome meme! You rock! Oops. Posting mine a bit late, but here it is! Your WoW is interesting. I especially like that it takes place in my state of NJ! This is my first time participating :) My WoW is here.